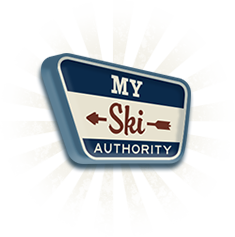 Welcome to Arizona Ski Authority. Get Your AZ Ski Discounts Here. When you think of things to do in Arizona, skiing is probably not very high on that list. Most long-term residents know better, but if you’re visiting or new to the state, you may be doing yourself a huge disservice. For there are some truly great places to hit the powder. The southern edge of the Rocky Mountains creates the Colorado Plateau, which covers the northern half of the state. This mountainous area provides Arizona with some great verticals, killer trails. There are four choice spots when you want to ski in Arizona. Elk Ridge is near Flagstaff and is a great family spot aimed toward beginning to intermediate skiers. Also near Flagstaff is the best-known ski area in Arizona, the Arizona Snowbowl. Mt. Lemmon Ski Valley is just northeast of Tucson. The largest ski resort in the state, however, is Sunrise Park, located three hours’ drive east of Phoenix. Arizona is a mixed bag when it comes to the weather, so pack accordingly. At Snowbowl and the general Flagstaff area, the average monthly temperature in December is about 30 degrees Fahrenheit. However, as you move outward it gets warmer quickly. The same month, in Phoenix, the average temperature is going to be about 60 degrees. Head east to Sunrise Park and the temperature quickly drops back down to 33 degrees. The snowfall is, arguably, even more unpredictable. Consider this piece of trivia about Flagstaff and much of northern Arizona: On average, just in the month of December, about one out of every 4 years it will snow more than 27 inches…or less than 10. Moreover, with rapidly changing weather patterns, it often does little good to check the forecast because—even “last-minute”—you’ll need to plan your trip before accurate forecasting models become available. The good news is that, as long as the temperature is behaving, the resorts can usually pick up the slack with snow-making equipment. Perhaps the easiest way to improve your experience skiing in Arizona is to make the most of your money. The best way to stretch your dollar is making sure to plan ahead. By planning ahead, you can save money in many different areas. Whether it’s lift tickets or equipment rental, reserving early will get you the best deals. In fact, rent online with us, and we can help you get a 20% discount. We build relationships with resorts and equipment rental shops to ensure that you get the best deals. Finally, remember that you’re going skiing, so relax and get away from the stress of it all. Whether it’s taking advantage of our online deals or asking us specific questions about your trip, we can help take away some of the worry so you can focus on the fun.